Now that the temperatures are slowly rising, I have one thing on my mind: summertime. If you follow me on Pinterest, you've probably seen an increase in pictures of the beach and all things sunshine. 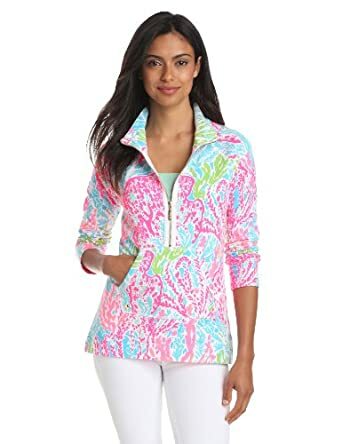 With all of that sunshine comes bright outfits and with that, Lilly Pulitzer. She is probably my favorite designer to wear in the summer. Her clothes bring preppy color to life and summer squeezes out of them like pink lemonade. ﻿Today I've rounded up a few of my favorite pieces. Hopefully a few of these can be a part of my summer wardrobe this year!